The month of June has been a lot of running around with a handful of events on the calendar, and making an appearance in a few different cities and states. We've been looking forward to this month for a while, but now it all seems to go by so fast. 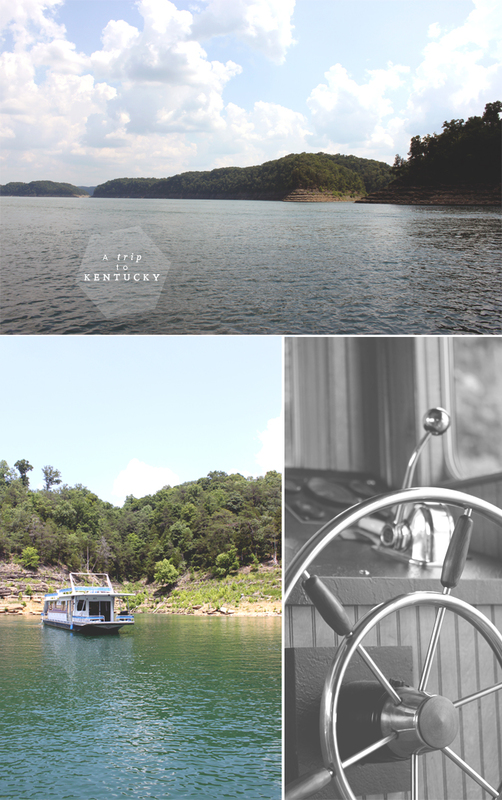 Two weekends ago we settled on a houseboat in Kentucky. A college friend rallied a fine group and it made for his long birthday celebration on Lake Cumberland just outside his hometown of Louisville. I wouldn't say we were roughin' it with beds, refrigerator and air conditioning, but it was perfection waking up to chirping birds, sparkling blue-green water and not another boat as far as the eye could see. 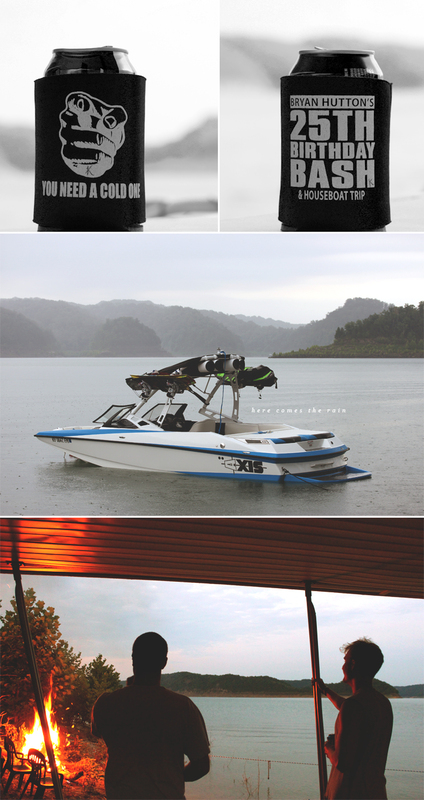 Days were filled with wakeboarding, wake surfing, cliff jumping and sun bathing. After dinners off the grill, the guys would venture down the bank to shoot off fireworks. It was nice to have no obligations and no reason to bother looking at a clock.